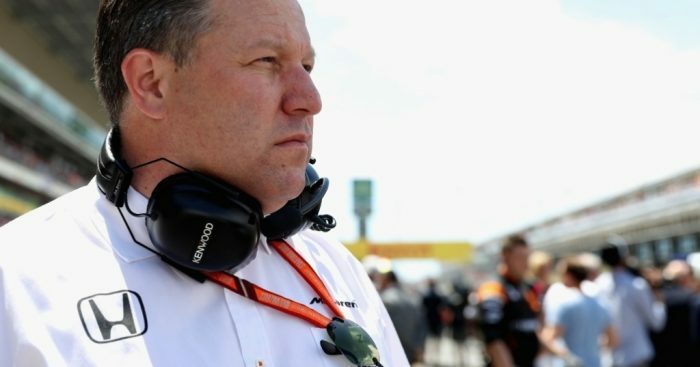 Zak Brown says it is only a matter of time before F1’s politics hit the headlines as the negotations over the 2021 regulations become heated. New owners Liberty Media face a trying time over the coming months, and even years, as they look to progress Formula 1 as they see it versus what the teams want. And that is likely to be just the start of the headlines. Although F1 boss Chase Carey has urged the teams to keep all negotations, and their thoughts on it, behind closed doors, Brown reckons it is going to make for some “exciting headlines” in the times to come. “Chase has repeatedly asked us in meetings if we can keep our negotiations behind the scenes but as you all know media is a powerful influence and in negotiations it can play an important part,” Brown told Crash.net. “We probably won’t achieve this nice and quietly behind the scenes. “People need to recognise every sport goes through this and recognise it is a politically-charged environment. “I think sponsors and people in the sport need to take comfort in the fact that we will get it done as we always have. “You’d rather have channelling the great news of a new owner who is investing in the sport and we are going to have a new deal in place and they are focusing on the fans. “I hope people can focus on that while the noise of negotiations goes on but that will make some exciting headlines in the process.